A soundproof window is an added window installed behind the existing one. A piece of glass is inserted and secured in between the internal and external panes of the original window. It is not necessary to replace the current window to make a soundproof window. This window reduces the noise coming from the outside or noise going out of the house from 75% to 95%. Soundproof windows are the best option for homes and buildings that are located near the streets, trains, business or commercial areas. These windows are a great solution for irritating noise problems. It also keeps the conversations private as the window serves as a good sound barrier. It maintains and even intensifies the insulation capacity of the existing window. This window promotes, quiet, less stressing and more relaxing home or office environment. This window also enhances the beauty of regular windows. A soundproof window must have to be custom-fitted to the current window. To block sounds effectively, there should be no spaces where sound waves can pass through. Different manufacturers sound-proof the existing windows in various ways. Here are three leading brands and how they create noise-free windows. What’s the average cost of soundproof windows? Entry level soundproof windows glass panes of glass are usually between .50″ to .75″ thick. These windows will generally cost around $300, not including installation fees. Windows in this range will typically cost between $500 to $700 before installation costs. Soundproof windows in this range are usually composed of either vinyl, aluminum or fiberglass frames with glass half an inch thick. The price of premium soundproof windows will usually be between $700 to $1500 before installation costs. Premium category soundproof windows may be up to two inches thick and can also be triple paned. Andersen 400 Series – This product line is made of wood with a vinyl cladding. It is ideal for both new construction and replacement windows. The windows have only one functional sash. It keeps the house insulated, in terms of acoustic and energy, through its laminated glass. This premium quality tempered glass is heavily laminated with two layers of regular glass and a layer of plastic in order to improve the energy efficiency and security of the window. The company uses a Low-E4 premium quality glass that reduces entry and absorption of sound as well as improves energy efficiency of existing glass. It is also easy to clean and maintain that regular ordinary glass. Milgard Quiet Line Series – This is a product line consisting of vinyl windows that serve as replacements for current window as well as for new construction windows. It offers two functional sashes that provide energy and acoustical insulation. The series have triple-paned glasses that are inserted in the original window which reduces noise more than 30% of the regular double-paned glass. Its SunCoat Low-E glass coating has distinctive features of soundproofing and energy saving more effectively than other brands. It provides stylish glass designs such as the privacy and solar tinting glass. Soundproof Windows, Inc. – This company develops noise-free windows by simply mounting an insulating window on the interior wall. It functions separately from the existing window. It uses high-quality three-layered laminated glass that reduces noise in a manner that it serves as the industry’s benchmark in noise-reduction capacity. It can screen as much as 99% of dangerous UV light. It has better thermal efficiency than windows that are double paned. 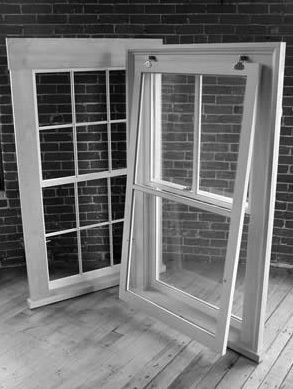 These three brands perform better compared to regular single-paned windows, but their performance varies depending on the specific project that is demanded. A brand may work better than the other depending on the circumstances. Besides these top three brands and manufacturers, there are many other producers that provide soundproof windows. Installing noise-free windows is relatively expensive. See How Much You Can Save On Soundproof Windows Today! Prices of soundproof windows differ according to type, color, size, and features. Thus, it is necessary to compare the prices of various window brands and to put products side by side in order to see the pros and cons. Therefore, the price of the end product you will get is dependent on your careful selection and inspection.